Europe is on the path towards a clean, low-carbon energy system. But which technologies and policies are most likely to get us there quickly and at affordable cost? 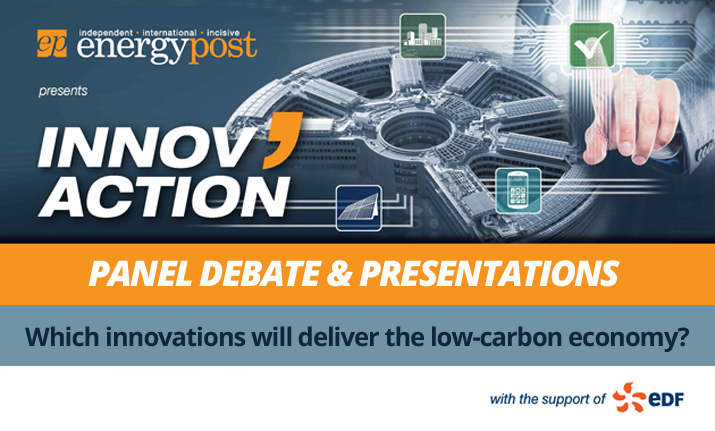 Energy Post, the EU’s leading energy publication, has teamed up with EDF, Europe’s premier company for energy R&D, to debate this key issue with a number of experts in energy innovation. With an annual budget of €650 million and 2,000 employees, no utility company in Europe devotes more resources to R&D than EDF. Built on a 12-hectare site, the EDF Lab at the prestigious, brand-new Paris-Saclay university is the flagship of the Group’s R&D efforts.